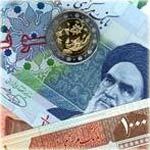 The Central Bank of Iran has announced that the inflation rate for the 12-month period ended the fourth Iranian calendar month of Tir (July 22, 2013) compared to the same period in the previous year hit 37.5 percent. This is while the Statistical Center of Iran had put the figure at 33.9 percent, according to the Fars News Agency. Central Bank of Iran Governor Mahmoud Bahmani has said that the country would curb inflation through three financial policies. "By selling bonds and gold coins as well as reducing liquidity, we hope to curb inflation," Bahmani stated. Iran's average monthly inflation rate was 25.4 percent during the previous Iranian calendar year, which ended on March 20. In April, the International Monetary Fund reported that Iran's economy contracted by 1.9 percent in 2012 and is expected to shrink by 1.3 percent this year. However, the economy of the Islamic Republic is forecast to grow next year by 1.1 percent, the IMF said in its annual World Economic Outlook.